Cassie De Pecol | Travel Expert | Travel Pioneer, Historical Record Holder, Award Winning Philanthropist. At age twenty-seven, Cassie De Pecol accomplished something remarkable. She became the first woman on record to travel to every country on Earth, and did it faster than anyone in history, male or female. She was inspired by her experiences on the Discovery Channel's Naked and Afraid: both the three weeks she spent in the Panamanian wilderness and the cyberbullying she endured after the show. And it opened her eyes to the need for women to make a difference in the world. In Expedition 196, Cassie shares the secrets behind her personal triumphs and miraculous achievements. 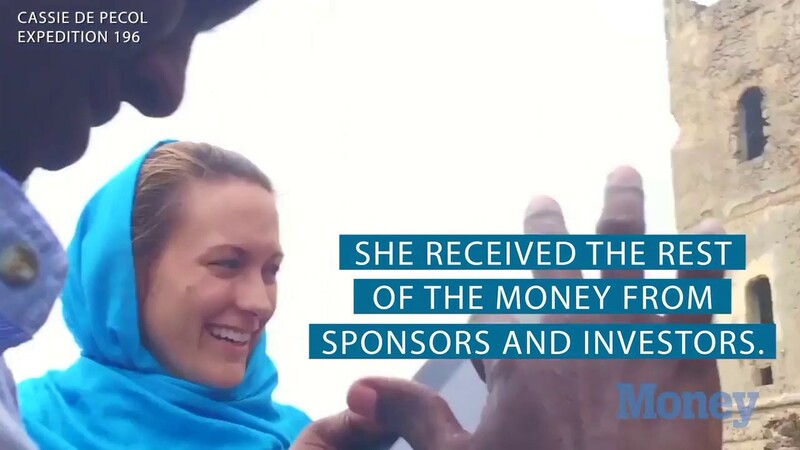 It's the story of a dreamer and a doer who went from restless college dropout to fearless adventurer to philanthropist and humanitarian activist dedicated to female empowerment and global sustainability. Thrilling, inspiring, and unforgettable, Expedition 196 views the world through the eyes of one extraordinary young woman whose heart took her farther than most people can even imagine.